This Halloween After Dark Fall Kitchen MatMates Recycled Rubber Doormat is a gorgeous doormat that can be used as a stand-alone Welcome Mat or as an insert in one of our innovative and unique MatMates Outdoor Doormat Trays, or MatMates Cushion Comfort Indoor Trays. 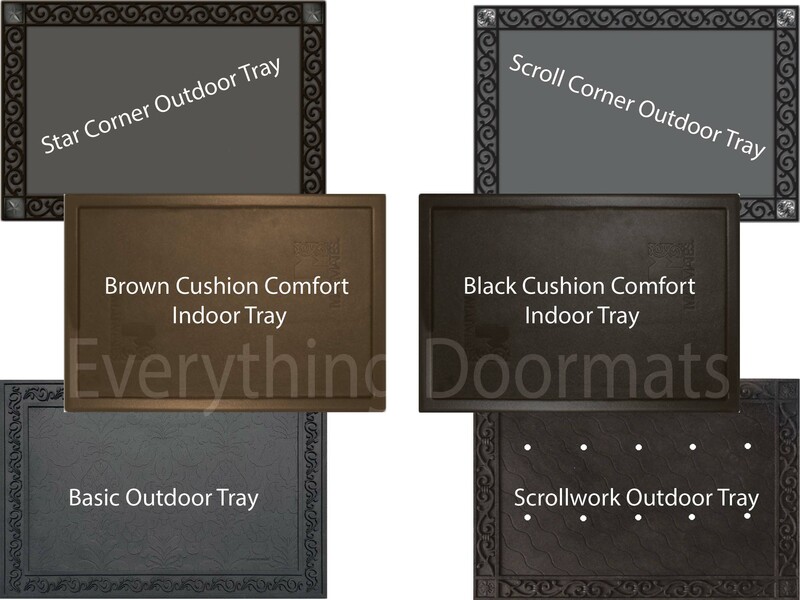 Primarily designed for outdoor use, this seasonal MatMates doormat insert is also well suited for use indoors when paired with the Cushion Comfort Tray adding a good non-slip surface to an ergonomic anti-fatigue PVC foam mat. This Seasonal Halloween After Dark MatMates Fall Doormat is created by using a process that gives the mat a beautiful and colorful finish while making the mat fade and stain resistant. Care for the After Dark MatMates kitchen and decorative floor mat is easy, vacuum over it or hose off the mat when it becomes soiled and if needed scrub lightly with a soft bristle brush with mild soap. This fall Halloween doormat is 18" x 30" when used as a stand-alone mat. This MatMates fall recycled rubber doormat is a great way to greet your guests at the door or to spruce up your kitchen's decor, so get yours today! Note: The After Dark MatMates is pictured in our Brown Cushion Comfort Tray. The outdoor trays and Cushion Comfort Trays are sold separately.